Heavy cotton canvas. 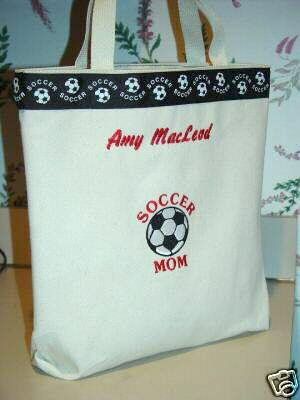 Machine embroidered Soccer Mom slogan. Thread can be changed to match school colors. Ribbon available in black or red with white soccer balls. Extra fees apply for name or monogram.